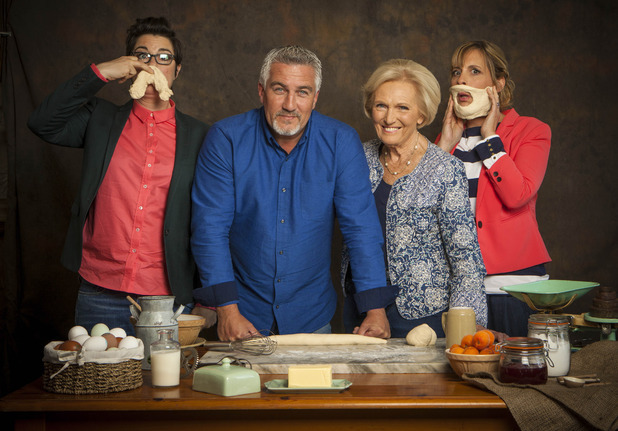 The Custard TV: Wednesday rule because of the Bake Off! Wednesday rule because of the Bake Off! Wednesday’s are definitely the best day off the week. Not only are you over the hump and preparing weekend plans, it’s also Bake Off night, and this week it’s extra special. Pastry week, a favourite for all the pun and innuendo fans. Within minutes Mary Berry used the infamous term ‘Soggybottoms’ and I swear I could hear a cheer erupt nationwide. Frangipane tarts were up first. While I have no idea what the difference between that and a normal tart is, they certainly looked technical. Blind baking? Test runs? I’ve no idea. What I do know is that the results looked SO GOOD. Mat’s Pena Colada Tart, Flora’s Apricot and Rosemary Tart, Paul’s Christmas tart, I want them all now. Though poor Alvin, pears not cooked and a soggy bottom, he wasn’t off to a good start. The technical challenge saw the bakers making flaunas. Literally no one has ever heard of these things and I find that surprisingly considering it’s a cheese stuffed pastry, sounds like heaven. Flaunas are basically the nachos of pastry and we need to see more of them in shops. Anyway, none of the bakers had heard of them either so this really was blind baking. While most passed the taste test, it seem that only Mat made flaunas that looked slightly like flaunas giving him the top spot for technical. Forty eight vol-au-vents for the showstopper, at least everyone had heard of these and seemed to understand how to make them. Interesting fillings were presented by the bakers, including squid ink, chocolate and a full English breakfast (though thankfully not mixed together). The pressure was on to finish and fill all forty eight, and everyone was feeling it. It was an extremely fiddly challenge, but thankfully all bakers managed to finish on time… ish. From star baker last week, Nadiya had an absolute shocker in this challenge having run out of time to fill, despite the flavours being incredible. But it wasn’t her week to say goodbye, that place was reserved for Alvin who under performed in every task tonight. 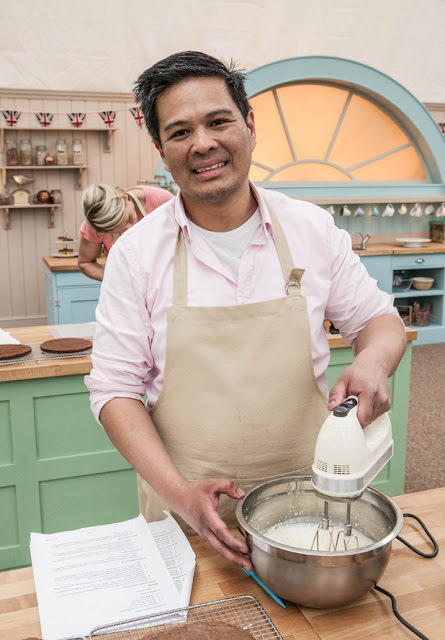 Star baker was taken by Mat, who absolutely smashed it this week. Six bakers left with Victorian week next week. We all have a favourite (Mat! ), tell us yours in the comments below! Remy Hair could be categorized within the hair extensions sale as far as hair quality is concerned. Remy Hair has its cuticle intact and running in the same direction lace wigs uk to avoid tangling. The cuticles protects the hair from damage, such as tangling and matting. The cuticles give the hair its natural look, making it smooth, silky, and tangle free. Many people are unsure of the true meaning of real hair extensions. Remy actually means that the hair has been chemically treated or processed. It is not the same as virgin hair. How long do hair extensions sale last. That's a legitimate question to ask if you're thinking of getting virgin hair extensions for your tresses. Adding extensions to your hair will give your locks thickness and volume, which is always desirable if you want to appear like you have healthy mop on your head.